Some years ago, 1985, Alasdair MacIntyre wrote a paper onThe Idea of an Educated Public in which he argued that the only route open for educators for the future, in order to emerge out of the current moral ‘crisis’ created by the ‘emotivist’ modernist culture is to bring back the idea of an ‘educated public’ from the Scottish Enlightenment and to regard education as education into such a public. The notion of an ‘educated public’, in effect, reappears also in all his later books on moral philosophy, particular his latest,Three Rival Theories of Moral Enquiry, where he takes up his original proposal that educated publics should grow around universities and canvasses the new idea that under contemporary conditions what we may need is not one universal university but three kinds contextualized within the three rival kinds of cultural and moral programmes he identifies, and, correspondingly, three kinds of educated public. 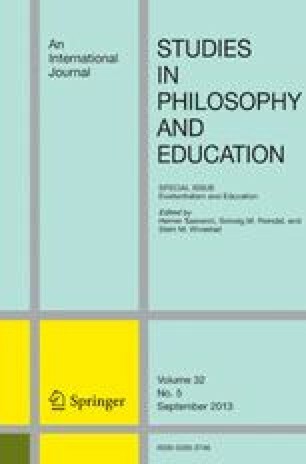 This paper tries to trace the evolution of MacIntyre's idea of an educated public throughout his work, (1) arguing that there is one particular perspective on the idea which he strangely omits, that represented by Dewey/Habermas, and (2) critiquing his final solution on the basis of its possibility and political desirability.